Toyosi Ogunseye, editor of the Sunday Punch in Nigeria has won the African Women in News Leadership Award to be presented tonight in Narobi, Kenya. She has shared her top tips for suceeding as a young woman journalist with the World Editors Forum, encouraging them to never let their gender stop them from achieving their goals. Ashleigh Tullis reports. Ogunseye has won the inaugural award presented by WAN-IFRA, the World Editors Forum and the African Media Initiative. 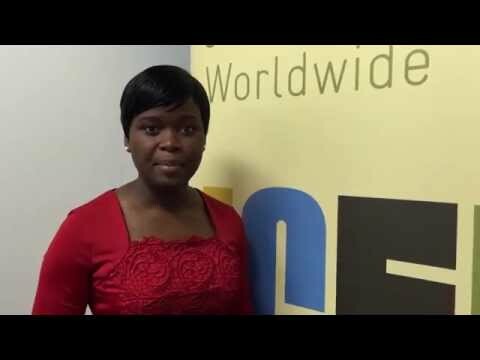 Ogunseye has been recognised for her journalistic excellence and leadership among women in African newsrooms. The judges praised her commitment to high quality ethical journalism, particularly her focus on the environment, justice and good governance. As the first female editor of Nigeria’s largest newspaper in its forty year history, Ogunseye has helped increase its circulation since 2013. Making the Sunday Punch the best paper in Nigeria with the help of her team has been a career highlight for Ogunseye. And she says she wants to “help more women [move] up the ladder.” The World Editors Forum asked her to rate her top ten tips for success as a young woman journalist with editorial leadership ambitions. She recently offered additonal tips for journalistic success after winning a Knight International Journalism Award. Ogunseye started her journalism career in 2004 at The Sun newspaper and moved to News Star newspaper in 2007 as a senior correspondent. She joined Punch newspaper in 2009 and was the sub-assistant editor for news and politics till 2012. She will be honoured in Narobi during a gala dinner tonight.